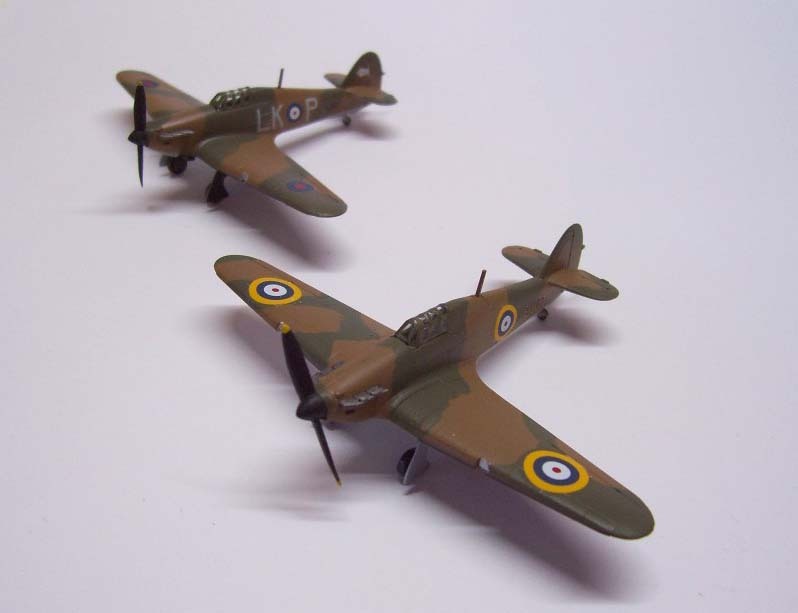 SWEET 1/144 Hurricane Mk.I, Original Fabric Covered Wing. 2 kits in a box, one molded in gray and the other molded in clear plastic!! Petite model with Exquisite detail, recessed panel lines and rivets. (The best molding ever in this scale) Optional parts for Kidney type exhaust pipes and Rolls-Royce exhaust pipes, Watts 2 blade propellers and Dehaviland 3 blades propellers. 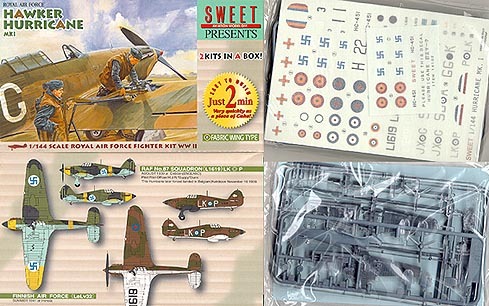 High Quality decal, printed by CARTOGRAF in Italy, provides the choices for 8 different aircraft. 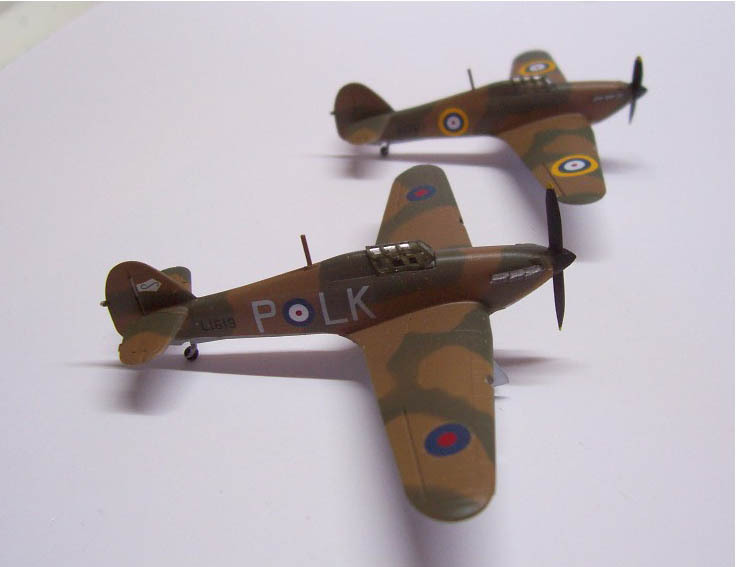 RAF, Belgium, Finnish and Rumanian Air force markings with painting instruction in English. Model by: Brian Sakai from California. 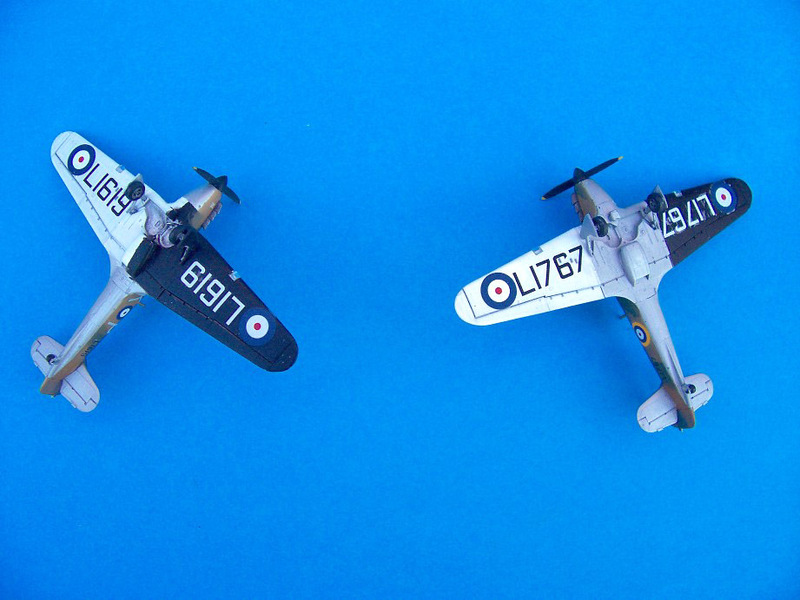 Dave Lochead from New Zealand sent us photos of his fabric winged Hurricane 1. He wrote "absolutely beutiful engineering on these kits, I love them." For inquiry  E-mail : Click here!